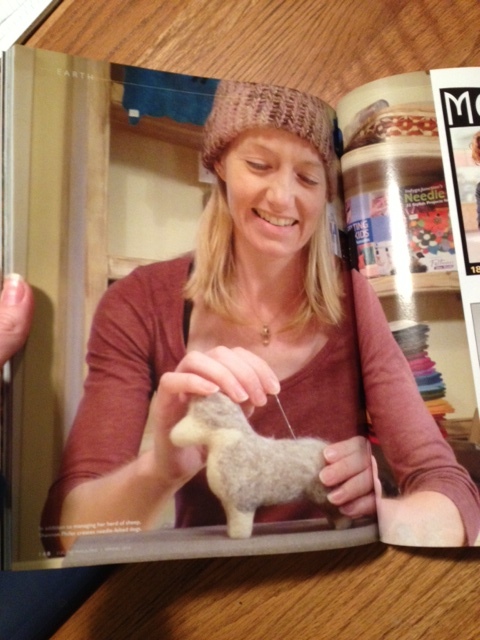 Woolly Wonders in the Eugene Magazine! 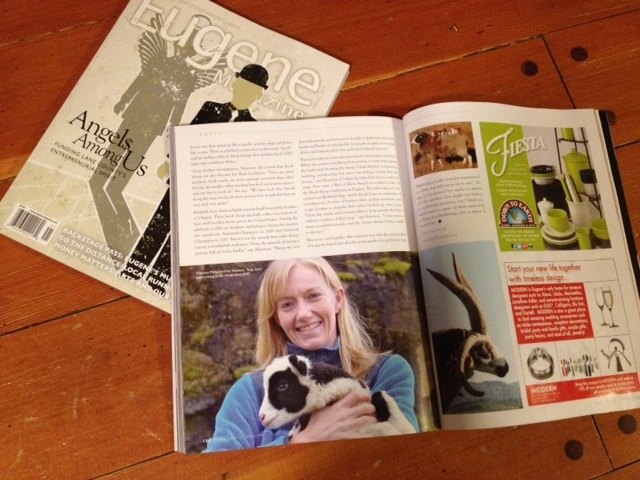 Our farm and sheep are in the Eugene Magazine! I am so excited to finally share this project! 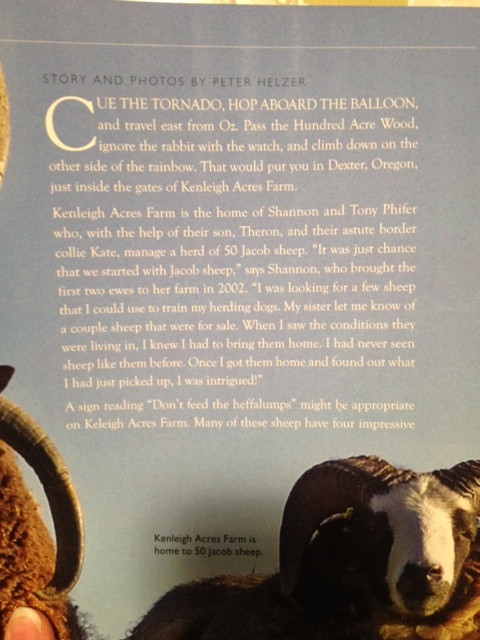 A neighbor has been intrigued by our sheep and approached us with the idea of writing an article for a local magazine. We have been working together for over a year and it is so fun to see it in print! 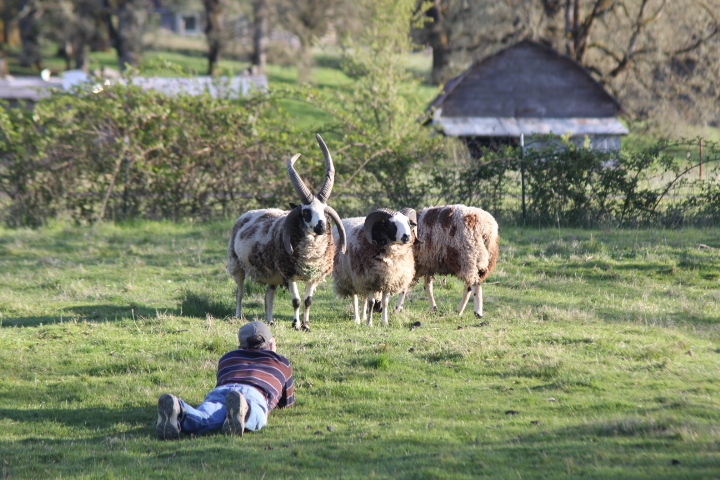 Here is a photo of him taking photos of the rams last April. I love the resulting photo that he captured of the big boys for the layout in the magazine. 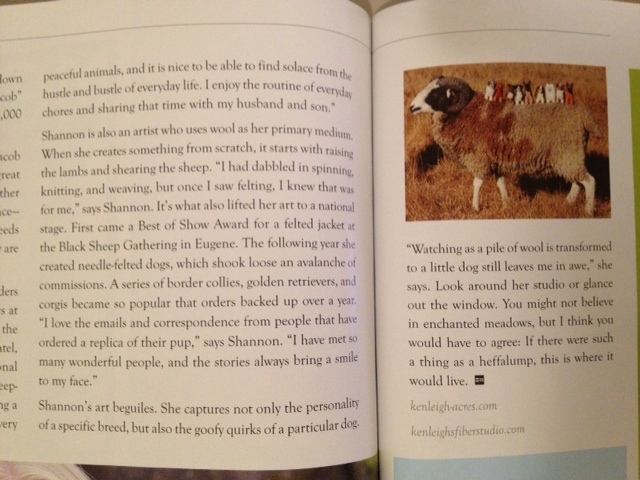 His writing style captured the whimsical nature of our sheep and I am just thrilled with the article as a whole. Working on one of my Felt Pups. 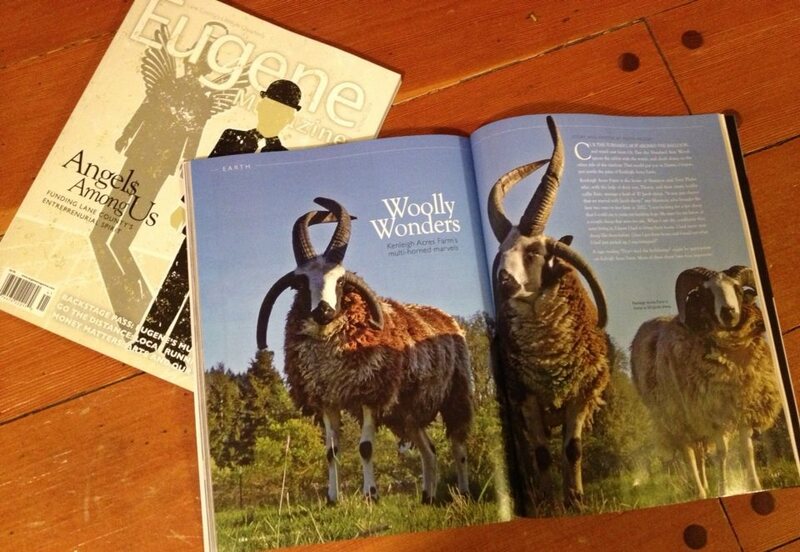 You can find retail locations for the Eugene Magazine on their website.